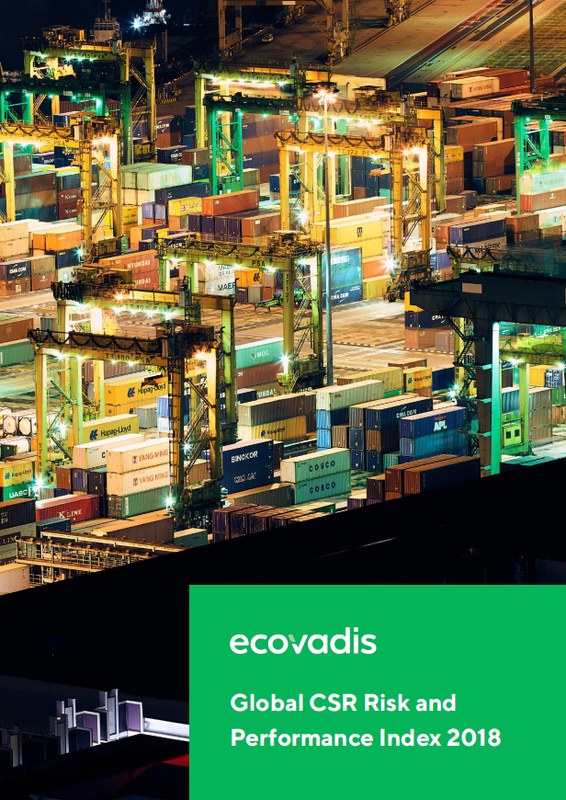 EcoVadis is the world’s most trusted provider of business sustainability ratings, intelligence and collaborative performance improvement tools for global supply chains. Backed by a powerful technology platform and a global team of domain experts, EcoVadis’ easy-to-use and actionable sustainability scorecards provide detailed insight into environmental, social and ethical risks across 190 purchasing categories and 150 countries. Industry leaders such as Johnson & Johnson, L’Oréal, Nestlé, Schneider Electric, Michelin and BASF are among the more than 45,000 businesses on the EcoVadis network, all working with a single methodology to evaluate, collaborate and improve sustainability performance in order to protect their brands, foster transparency and innovation, and accelerate growth. Learn more on ecovadis.com, Twitter or LinkedIn. 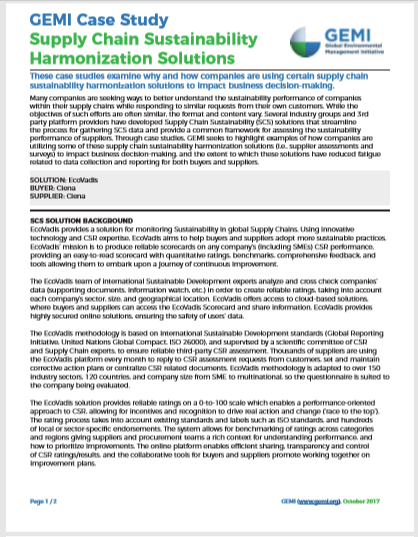 The case study highlights how Ciena uses EcoVadis' platform as a supply chain sustainability harmonization solution. 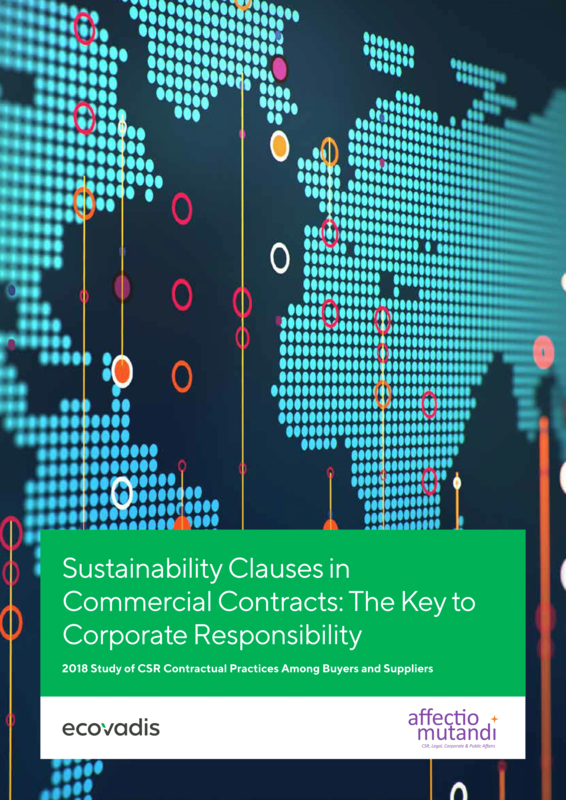 The UN's SDGs encompass 17 goals and 169 targets, 39% of which forms part of EcoVadis practices.